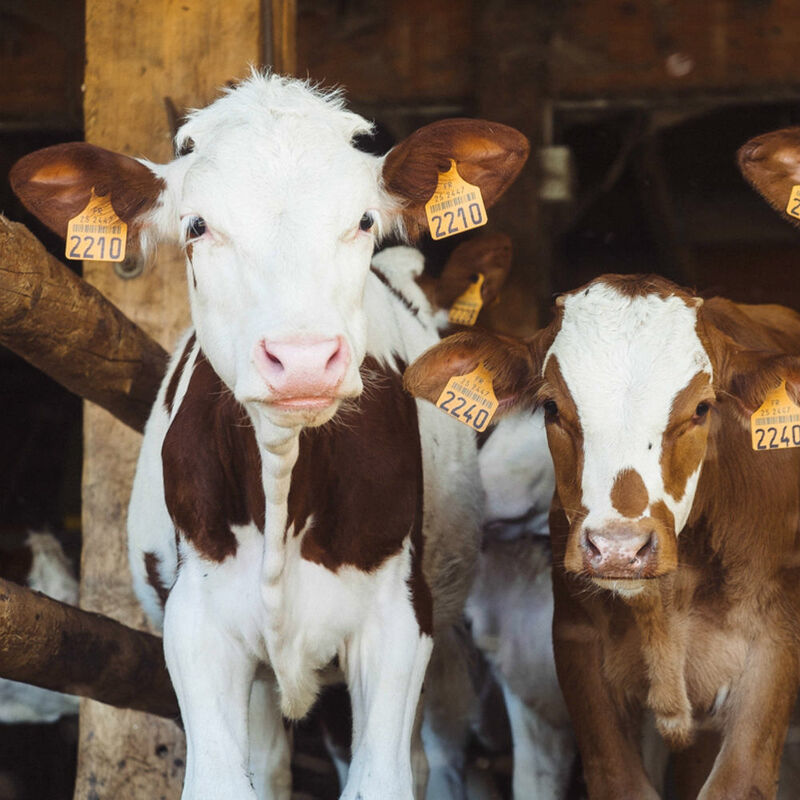 Vitamins are essential for nearly all physiological and metabolic processes, and optimum vitamin supplementation is a nutritional management tool that can be used to support health and performance in dairy cattle. Fertility problems – besides lameness and mastitis – are the most costly production diseases in dairy farming today. Research in dairy cows and other species indicate that beta carotene performs a direct role in reproductive function. Based on these observations, the importance of dietary intake and status of beta carotene as a specific nutrient in dairy cows is apparent. Since there is a strong correlation between the ß-carotene concentration of the diet and the ß-carotene concentration in plasma of dairy cows, the determination of ß-carotene levels in whole blood is helpful to optimize cattle feeding. 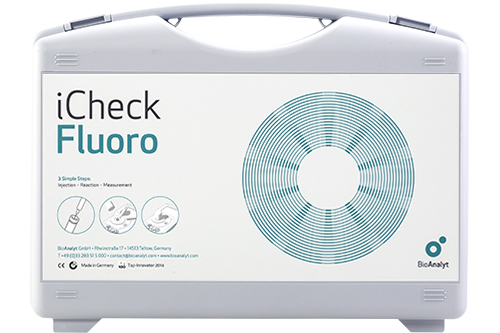 iCheck Carotene can be used to determine ß-carotene in whole blood of cattle – within minutes in the field. Using iCheck Carotene, beta-carotene levels can be determined in whole cattle blood and serum, colostrum and vitamin premix for feed. Using iCheck Fluoro, Vitamin A as Retinol can be determined in Milk, colostrum, whole blood and blood serum as well as vitamin premix. Raila, J. Validation of blood vitamin A concentrations in cattle: Comparison of a new cow-side test (iCheck™ FLUORO) with high-performance liquid chromatography (HPLC). BMC Veterinary Research. May 2017. Carotenoids in poultry feed serve not only as pigments but as health promoting antioxidants, and also as a precursor of vitamin A. The color of yolk can only be predicted and controlled through the control of the carotenoid content in the feed. Controlling the color of the egg yolk is important because it is an important aspect for consumers around the world. 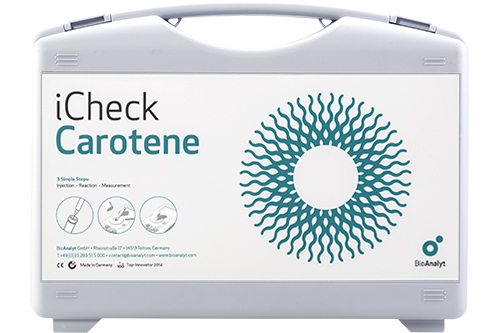 iCheck Carotene, in combination with the egg preparation kit, is a valid and effective tool to determine total carotenoid of egg yolk under laboratory-independent conditions with little trained personal. The results serve as a guideline for adjusting feed composition. Since the flesh of wild salmon is pink due to the accumulation of dietary carotenoids, especially Asthaxanthin, end-consumers expect the same color for farmed salmon. Asthaxantin accounts for more than 90% of carotenoids found in wild salmon and may – when added to the feed – change the color of the normally grey flesh of farmed salmon to pink. The FDA permits salmon farmers to supplement asthaxantin to produce flesh pigmentation similar to that found in wild salmon. 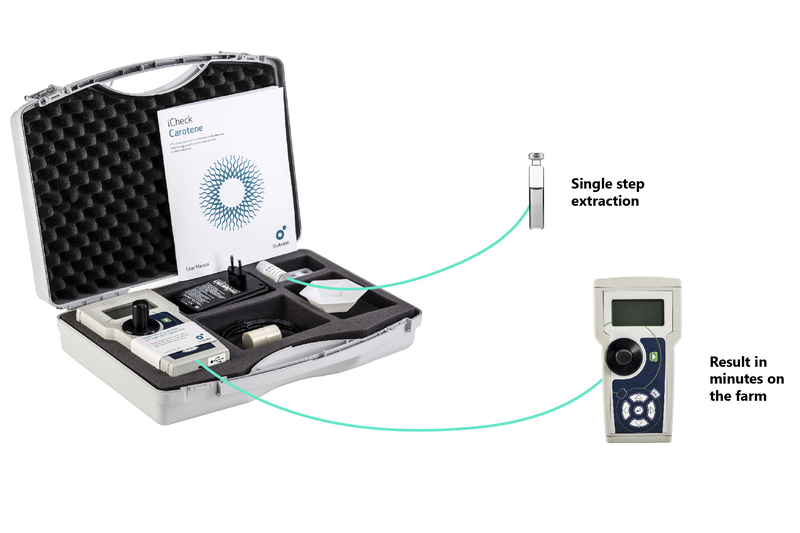 BioAnalyt provides an easy-to-use system to determine asthaxantin in fish flesh: iCheck Carotene and Salmon preparation kit. “iCheck FLUORO has been a wonderful tool in Dangote Sugar Refinery Plc for the vitamin A fortification program in terms of accuracy, speed and cost effectiveness"
Our team is staffed with expert scientists and experienced professionals in setting up quality control and method evaluation. We can help you to find the right solution for you along each step of the way.